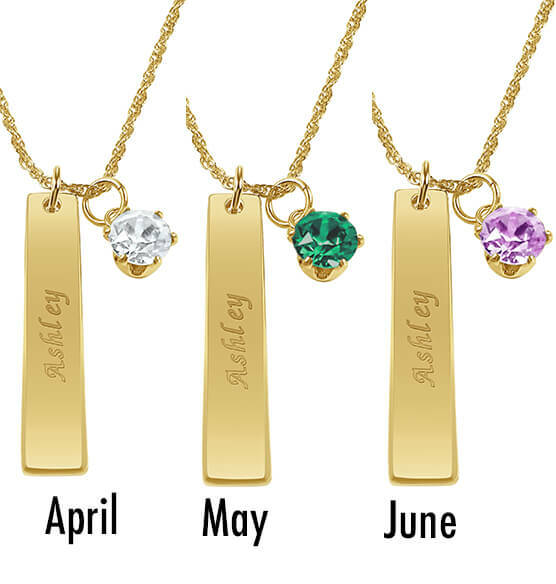 She's sure to feel special wearing this Personalized Ladies ID Pendant with Birthstone Charm. 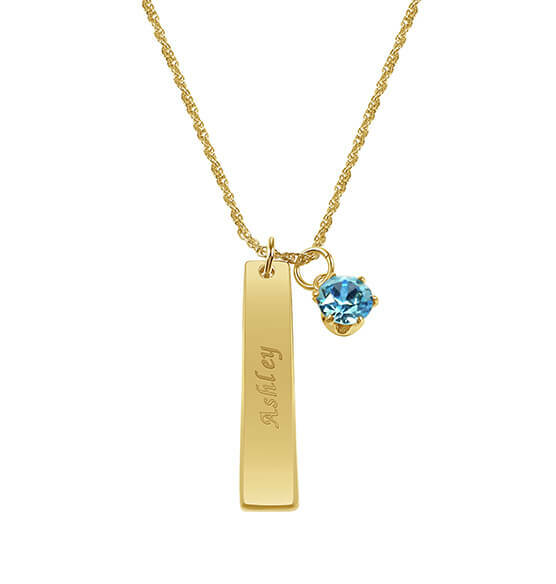 Sleek goldtone bar engraved with her name is perfectly complemented by a dangling crystal stone. 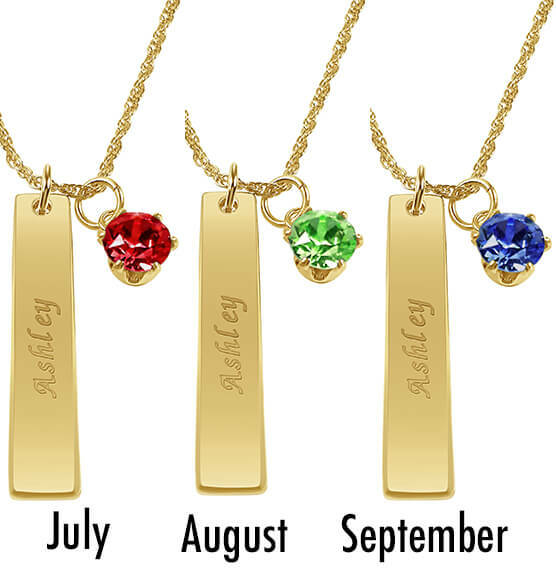 This birthstone necklace makes a beautiful gift or treat yourself! 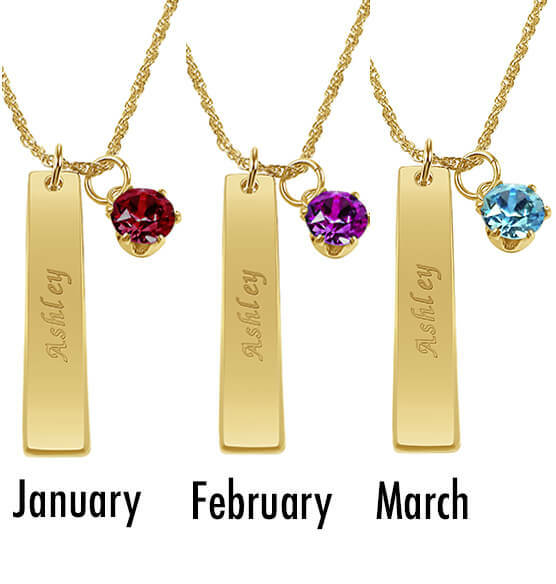 All months are expected to be in stock late April 2019. 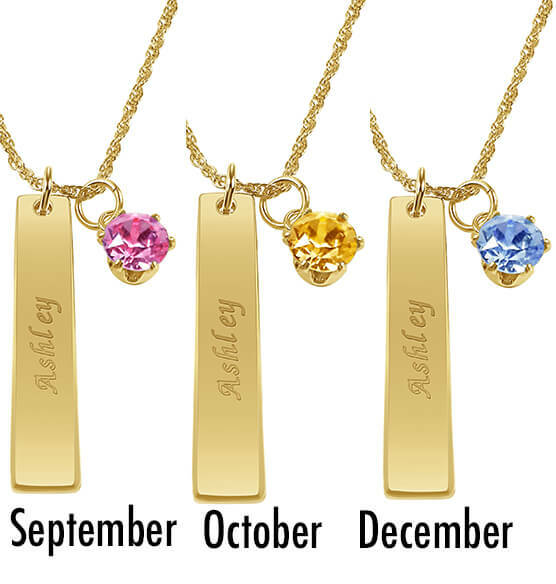 Pendant measures 1 1/4" x 1/4"
How long is the rope chain with this personalize pendant? BEST ANSWER: Thank you for your question. The chain is 18". We hope this information will be of help to you.